In France, migrant entrepreneurship is a relatively fragmented policy area combining a wide range of sectorial policies and measures. The country still lacks a coherent and integrated approach on the topic. In this framework, key actors promoting agenda-setting are training/accompanying/incubators stakeholders such as GRDR, SIAD (Résonance Nord/Sud), Bond’Innov, Campus France (MeetAfrica), FIA ISM, OFAD, APIES; funding actors (Investissement & Partenaires, Fondation Enthic, Fadev, COFIDES, OFII); France Terre d’Asile and Singa specifically targeting newly arrived migrants and refugees as well as not exclusively « migrant entrepreneurship » oriented operators such as ADIE, Cités Lab and ADIVE. The needs of migrant entrepreneurs in France are addressed by policies from the areas of labour integration, social business, development, and by measures aiming at promoting further cooperation among the stakeholders active in the field. Moreover, since 2014, public policies in France target newly arrived immigrants, a category that includes only those with less than 5 years presence in the country. All immigrants with a longer stay fall out of the integration programmes. 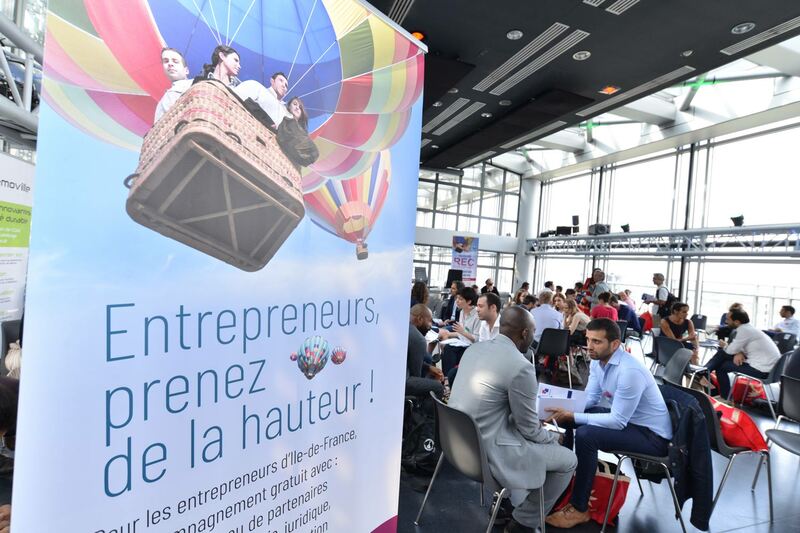 The objective of the national coalition building process in France is to bring together all stakeholders active in the field in order to exchange experience, learn from each other and develop a critical mass pushing for a more coordinated action to support more inclusive entrepreneurship policies. The national coalition initiative ultimately aims at producing economic development and social impact in the host country. The French National Fair took place on 5 th July at the Institute of the Arab World, in downtown Paris. The fair provided minority entrepreneurs and entrepreneurs from disadvantaged areas with the opportunity to attend workshops, meet potential business partners, and listen to specialists on issues such as access to finance and collaboration with large corporations. The event had a strong impact in terms of participation and registered 280 guests: 130 entrepreneurs and 150 business partners representing investment funds, banks, buyers from large corporations, business experts, consultants, and public officers. Inclusion was the main topic of the fair with the intent to offer business opportunities and raise awareness over the topic of minority entrepreneurs. As key step in the national coalition building process, the event also received support from the Region Ile-de-France, Agence France Entrepreneur, Accenture and KPMG.